Winter time is valid since the last Time Change (Time Change 2018 Bulgaria). The Time Change from Winter Time to Daylight Savings Time will take place in Bulgaria on March 31, 2019 at 3 in the morning. The clock jumps forward from 3 to 4 am. This means the people in Bulgaria have to cope with one hour less of sleep. As another consequence it is going to be darker in the morning again. On October 27, 2019 at 4 in the morning the clocks are changed back from Winter Time to Daylight Savings Time in Bulgaria. The clocks have to be shifted from 4 to 3 am. So, the people can enjoy this very hour twice. 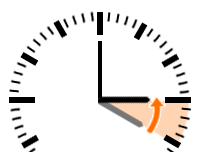 The winter time, also called normal or standard time, is going to be valid until the next Time Change to daylight savings time in the upcoming year: Time Change 2020 Bulgaria. According to “The Last Man on Earth”, a comedy TV series, a mysterious plague wipes out almost all of humanity. ITER, the 2nd largest scientific experiments in history in developing nuclear fusion as an energy source, begins in 2019.